Aston Martin is increasingly worth watching in Formula 1 as it deepens its involvement in Red Bull Racing and appears to be ramping up as a potential engine supplier from 2021. It has added powertrain engineer Joerg Ross to its roster. Ross, formerly Ferrari’s engine chief, will join Aston Martin’s powertrain concept development program as it considers joining the Formula 1 grid as a full-blown engine supplier, having recently embarked on a technical and commercial partnership with Red Bull Racing. After the FIA and FOM announced their plans for a brand new engine formula for the 2021 season, Aston Martin has been attracted by the promise of lower-cost power units, and has begun looking at concept designs for the new rules cycle. Currently, Luca Marmorini - another former Ferrari recruit - leads the program, having initially been brought on as a consultant. Aston Martin CEO Andy Palmer confirmed that Marmorini is now working with the sportscar marque full-time, and has started working on new concepts for a potential Aston Martin F1 power unit. "I've engaged Luca full-time now to help us with developing the concept engine," said Palmer to Autosport. “He started his concept thoughts just last week so it's fairly early days, but he's a good guy to have onboard and lucid about who he thinks we should work with, who we could work with, from his experience what didn't work, so that will save us time. "I've got Joerg Ross, he's already working for me on our internal engine development and is ex-Ferrari Formula 1. He will work on the F1 project. "So I've got two good people now to start thinking about our concept." Should Aston Martin join the Formula 1 field, it would be a popular move with FOM and Liberty Media. 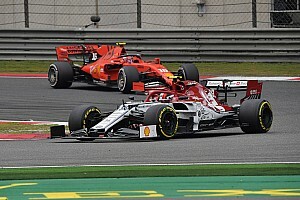 Having just four manufacturers – Mercedes, Ferrari, Renault and Honda – supplying engines, Liberty Media backed the prospective new regulations to attract more automotive attention. 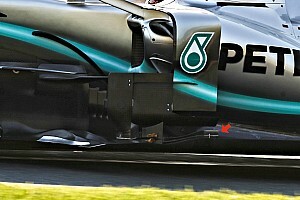 "There are several premium manufacturers that I would like in F1,” F1’s Managing Director of Motorsports Ross Brawn told Bild. "Porsche is one of them, but also Aston Martin and Lamborghini. That's why we need to create an environment that's attractive to them. Although the new regulations have been devised with bringing new manufacturers to F1 in mind, the specifications are largely rooted in the current power unit ruleset. Although current manufacturers would need to design new V6 internal combustion engines for the new regulations, there would be the scope within the engineering departments to draw on knowledge gained from the previous cycle. While the overall costs per unit would decrease, the engine formula’s announcement was met with disdain from Mercedes, Renault and Ferrari. 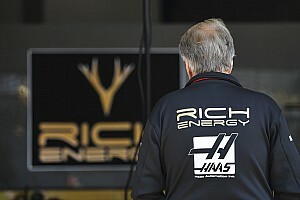 However, Palmer contests that the three were privy to prior discussions on the 2021 engine ruleset, and should not have been caught by surprise. 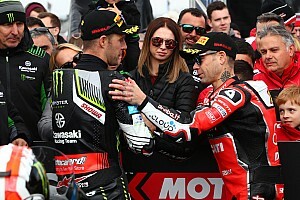 "I'm surprised they have been as vociferous as they have been because I think it was pretty well signalled within those meetings," Palmer continued. "In those meetings, you had the incumbents and you had the challengers. The challengers are aligned and the incumbents are aligned. Palmer hopes that an agreement between the manufacturers can be achieved, and recognises the need for a simplified engine format for F1’s long-term future. Although road relevance is a key part of manufacturer interests in Formula 1, Palmer was aware that the minutiae involved in energy recovery was not necessarily something of interest to the spectator. "Everyone around the room accepted that the sport is broken. And we need to bring back the entertainment. "The entertainment is about drivers racing, it’s not about the heat recovery on an engine." Aston Martin's ties to Red Bull have arguably strengthened of late, after announcing a tie-up between themselves and the Arden team - owned by Red Bull team principal Christian Horner's father - to form R-Motorsport, which will run five Vantage V12s in the Blancpain GT Series. Although this tie-up may indeed be a case of Horner - who was in attendance at R-Motorsport's Thursday launch - using his influence to keep Aston Martin close, it may also represent an opportunity elsewhere should Red Bull ever decide to leave F1. Creating an environment to attract new manufacturers into Formula 1 without upsetting the current entrants is certainly a problem for F1, Liberty Media and the FIA to solve. How things develop between Formula 1 and the manufacturers will be of great intrigue over the coming months, especially given Formula E’s ability to attract the likes of Porsche and Audi - names that F1 has coveted for years.